The iOS lock screen is a boring place. It displays the time, any notifications you’ve received since you last unlocked your device, and a shortcut to the Camera app. But that’s it. When you compare it to Android’s lock screen, which now has support for all kinds of cool widgets, it’s clear there’s room for improvement. 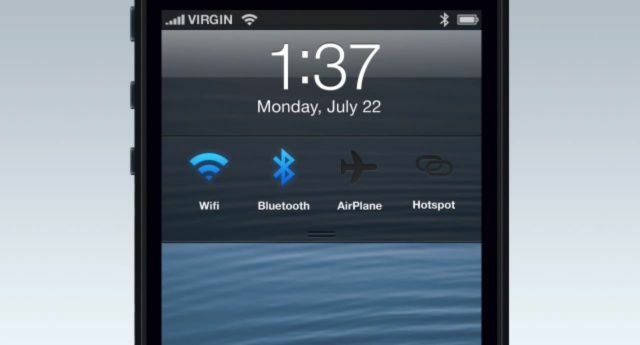 One way Apple could start improving it for iOS 7 is with this awesome concept from Jean-Marc Denis. It simple, but it would make the lock screen a much more functional place. By introducing a pull-down tray with some basic toggles for frequently used features, users could toggle Wi-Fi, Bluetooth, Airplane Mode, and Hotspot without even having to unlock their iOS device. Check it out in the video below. What would make this feature even better is if the user could customize the toggles in that tray. For instance, I hardly ever use the Hotspot feature on my iPhone, but I frequently find myself adjusting its brightness, or flicking Do Not Disturb on and off. Apple has shied away from features like this in the past, but I think iOS users are beginning to want more from the company’s mobile platform. The basics have remained largely the same for the past five years, while rivals like Android have caught up and even overtaken in some areas.